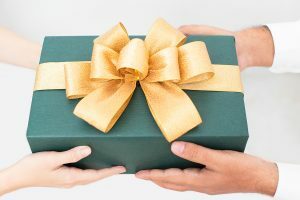 The holidays are just around the corner and if you’re dating a millionaire lady, that means that you’re in store for a whole lot of “what to get her” stress. 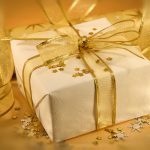 I’m hoping I can cut down on that stress and help you focus on holiday cheer with a list of gift ideas that I’m positive every single millionaire lady would love. And yes, even millionaire ladies who already have everything. Here are my top five picks for gifts for her this year. There’s not a woman on the planet who couldn’t use another black cardigan and this one is truly something special. She won’t have anything like it in her closet. It’s half coat and half sweater, which makes it versatile. And it’s great for travel because it pulls double duty and will keep your lady warm and toasty on those frigid flights. I think this is a true winner of gift if you’re thinking of giving clothing. Edie Parker has really fun designs and this clutch is one of my faves. It’s so funny and really eye catching. I’d use this as my bag for a rocking night out, but even if your lady isn’t someone who likes to make a statement with her fashion, this works. She can put it on her vanity or even display it somewhere like a bar cart. It’ll brighten her day whenever she sees it. How could it not? Tom Ford knows how to do makeup…unfortunately for my wallet. His products really are some of the best in the game and totally worth their price tag, if you ask my opinion. This box of every single one of his “girls” lip colors would be appreciated by any woman who’s into makeup. Having all that selection of tippy top of the line products would make doing your face such a treat. Speaking of tippy top of the line, La Perla does lingerie right. And every woman could use another silk robe. They are the most comfortable things to wear when you’re getting ready or just lounging around the house. You really haven’t Netflix and chilled until you’ve Netflix and chilled in a silk robe. And La Perla is the brand to go for, if you can afford it. It’s second to none. Click on any one of these gifts, buy it for your lady and you can kiss holiday gifting stress goodbye this year. Focus on eggnog drinking instead!